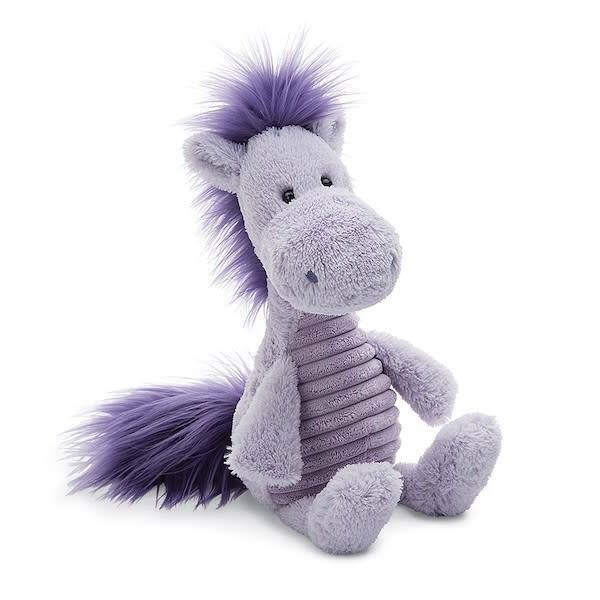 Jellycat Snaggle Baggle Penny Pony is ready to gallop home with you! 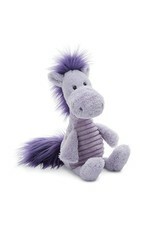 Her snuggly corduroy tummy and beautifully fluffy mane make her the cuddliest pony around! 13 inches. Safety: Tested against and passed ASTM requirements. Check all labels upon arrival of purchase. Care/Washing: Hand wash only; do not tumble dry, dry clean or iron. Not recommended to clean in a washing machine.